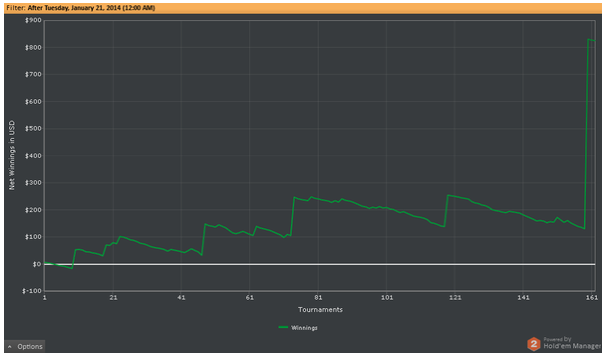 New Poker Bot Results 2014 Aug.
"I just bought the bot last week and have been having a blast with it. I'm up almost $50 after ROI from just the doodle profile." "I use Webbers profile and I won a 1 euro entry tourney which paid 200 euro. Since then, using Webbers profile in MTTS, I am up another 200 dollars. I play 1 euro and 2 euro entries." "The default profile, Doodle 104, has gotten really good. Plays better than I do in full ring games. My 9-year old daughter can make money at online poker using this." 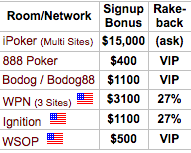 The above chart shows that this person is up $882 in winnings or $1103 after rakeback (if you need an iPoker Rakeback deal, just post on the thread in our forum and one of the affiliates will set you up). That's it for now. 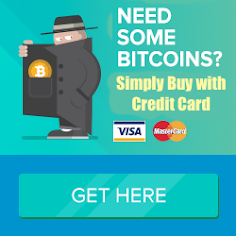 If you need a license, there's a link on the bot menu to buy one. Have fun beating online poker in your sleep and we'll see you or your bot at the final table soon. We had such a good response to our World Cup promotion last month that we've decided to repeat part of it. 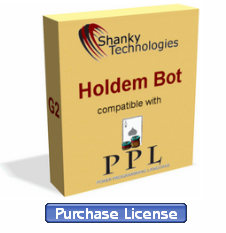 So here's the deal: Purchase a Holdem Bot license this week and receive the special "6-pack" profile at your request. The feedback from those who are already using this profile has been enthusiastic, so here's your chance to get something good ahead of the crowd. The 6-pack profile is Egor's latest creation and is not yet publicly-posted. It is a loose-aggressive profile meant for 6-max cash tables. It's aggressive, but not overly-wild. You've got to see this thing punch it out with other sharks. It keeps them humble and takes down many pots on the flop and turn. Just mention you want the "6-pack" after purchasing your license and we'll send it right over. "Your steps worked! Bot is now working for me! Just won $200 from 2 tournaments and 1 cash game!" "I love your bot. It's awesome. I started out with a bankroll of "0" to see what I could do with it and within 2 days I have VIP status of 1 and $20 in the account with no deposits." "The bot just final tabled, unassisted, in a free-roll with 450 players." 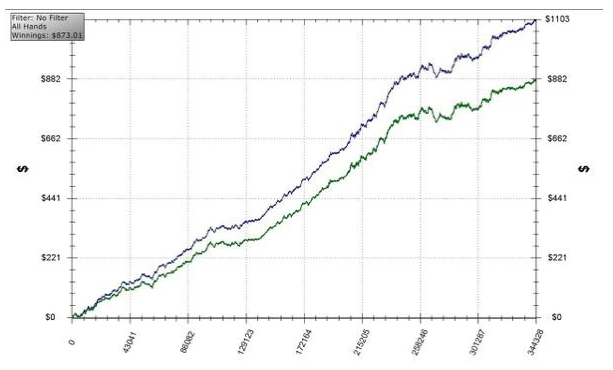 That's a typical MTT results chart. See how it keeps winning a little and then staying about even until the big score hits at the end there. This botter is now over $800+ ahead. It's only a matter of time before the big score hits, so the advantage of using our bot should be obvious. 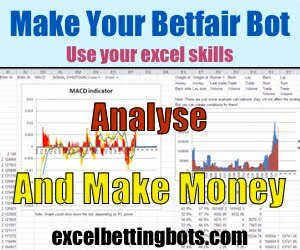 It does all the dirty work for you, always playing a perfect strategy, and never gets tired of "waiting" for your lucky day. That's it for now. You can use the purchase link on the bot itself to buy your license (which you can download from the link above). Have fun with the 6-pack profile and we'll see you or your bot at the cashier window soon.